Newbern is considered to mostly a sleepy little town that rolls up the sidewalks at dark. Appearance can be deceiving to the eyes. Newbern more than doubles in size by 8:00 am when over 2300 teachers and students arrive for school, add in the nearly 2000 jobs on first shift at the numerous industries combined with the retail businesses and over 6000 vehicles that travel Hwy 77 to connect to the Interstate, we explode at the seams. Newbern is all hustle and bustle for the next 14 hours then we settle down for the night excited about a new day in our wonderful little sleepy town. The Newbern area was known to have settlers as early as 1839. In 1850 Mr. Owen Philyou of New Bern, North Carolina staked a claim in the area and erected the first known home. A store and home was erected on or near the city triangle (Court Square) in the fall of 1851, and at this point was considered a point of trade within Dyer County. It is assumed and accepted by local historians that Newbern was named for the birthplace of Owen Philyou. Newbern is the only city within the state of Tennessee to hold to dates of beginning. The city was Incorporated in 1857 and Chartered in 1858. 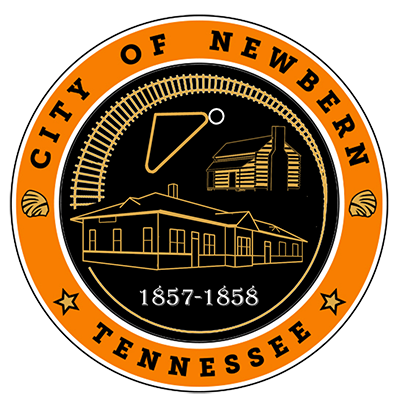 The reason behind this unusual fact is that when the Charter was sent to Nashville to be presented to the Governor in the fall of 1857 the name of City "Newbern" was not written on the official charter documents. The Tennessee House approved the Incorporation of a township and the papers had to be returned to the City Government to be corrected and resubmitted to the Tennessee House for the approval of the Official Charter in February of 1858. Newbern is the highest geographical point in Dyer County at 374 / 376 feet above sea level.